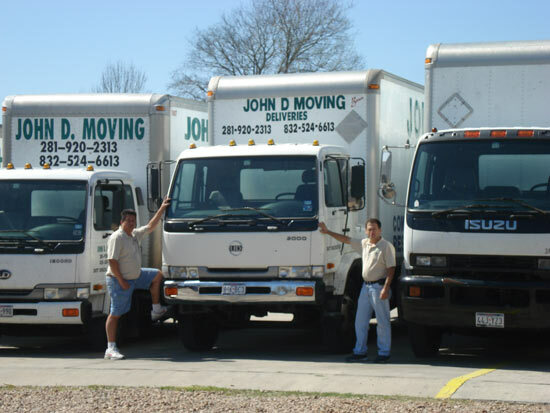 John D. Moving is a family owned Houston Moving Company serving the Lone Star State since 1999.We are a very dedicated company to our employees, friends, family and you our CUSTOMERS. We are committed to being the moving company leader on all of your moving needs while providing honest professional service. We work hard to eliminate the things that add cost to your moving. This means you get exclusive service all around. As a family-claimed foundation, we hold our staff and movers to exclusive expectations with regards to quality client care. We’ve moved thousand of families around Houston and we comprehend what it takes to convey a sheltered, quick move. Johndmoving as a Houston Moving Company leader offers a full list of administrations devoted to giving commendable assurance to your stuff, regardless of how far your turn may take you. Your Houston movers are completely prepared experts who come arranged to offer the absolute best in moving supplies and administrations. Don’t hesitate to utilize our top notch moving boxes and pressing supplies to secure your things, or leave the hours of burdensome pressing to the masters! We have full-administration or custom pressing alternatives to fit your needs. Your true serenity is dependably on the brains of your movers in Houston. We know it takes a ton to trust somebody with your home and belonging. At Johndmoving, we highly esteem treating every client like family. You’ll get quality administrations at a reasonable and sensible cost, and your Houston movers ensure every point of interest of your turn is secured from beginning to end.